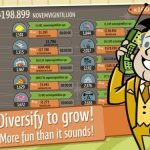 It’s been a while since we shared with you some tips and tricks about Kongregate’s AdVenture Capitalist, but to give you a refresher on what the game is about, let’s bring you back up to speed. The game guides you, as an investor, from a basic lemonade stand to becoming a millionaire, a billionaire, or even richer than that. The developer calls it the “world’s greatest capitalism simulator” and the game will let you hire employees, upgrade your businesses and catch the attention of angel investors. 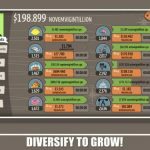 Now, we didn’t really touch on angel investors too much the last time around, but fortunately, we recognize how important they are and that’s why we brought you this AdVenture Capitalist strategy guide, as well as a new set of tips and tricks. Sometimes, it’s good to start fishing for angel investors once you get your first oil drilling company. Still, we advise you to start attracting them once you’ve got two or more. What does this mean? Simply put, it means that it’s a good idea to let the game play out by itself as your money managers earn more cash, and your angel investors hit double digits, or even triple digits prior to restarting. Keep repeating this process and you’ll find that it will take you less time to attract more angel investors. The double check screen will come up in the game once AdVenture Capitalist recognizes that you’re probably purchasing upgrades for your angel investors a bit, or much too soon. Once you stop seeing this screen, then you can start upgrading your angel investors and earning some serious profit. Again, you’ll want to repeat this process, this time aiming for five to ten times the number of angel investors each time you restart. Each restart will increase your multipliers and help you acquire angel investors at a ridiculous pace. Waiting a little while before restarting will also help you right after you get significant global multiplier upgrades, or immediately following a newspaper upgrade to a multiple of 500. But how long is a little while? We suggest one to two hours at least; you can even wait until you wake up in the morning for even better results and even more angel investors. Angel investors are one of the most important things in AdVenture Capitalist, but you shouldn’t overlook your other upgrades either, particularly manager and cash upgrades. 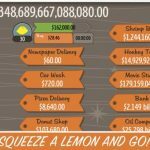 It is very easy to earn money in this game once you get to a certain point, but you should also avoid spending money on businesses that wouldn’t earn you that much. As for newspaper upgrades, you shouldn’t ignore them as well in the game – each multiplier of 100 will give you a really big upgrade to one of your other businesses at random.